I know it was a horrible pun... but there's nothing horrible about this new weapon Spy Monkey gifted me! 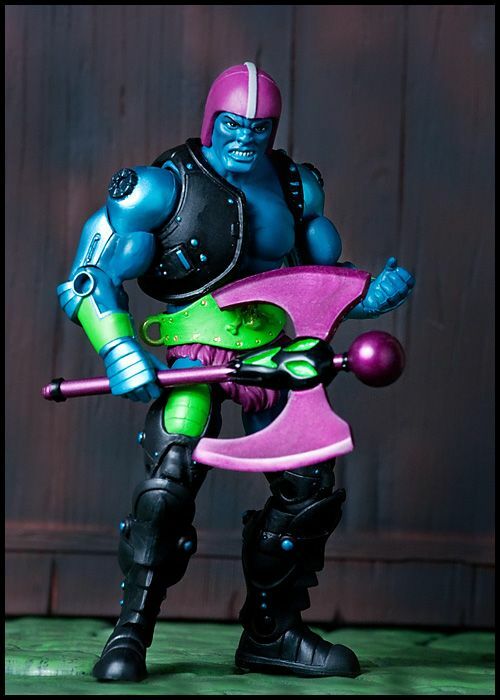 A unique repaint of the Witching axe made in Trap Jaw colors! Sweet! 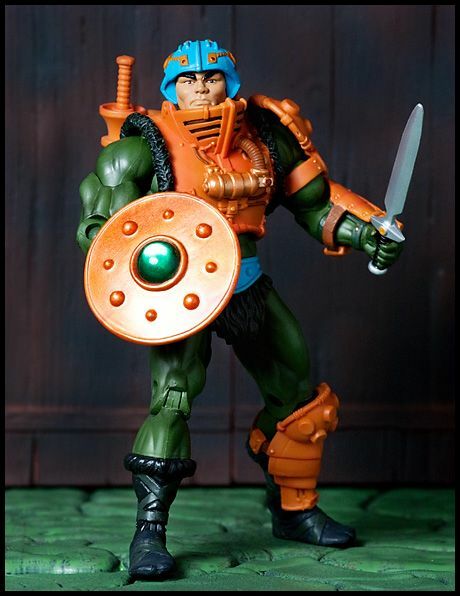 John Atkin, my friend and frequent contributor to my other site www.motumovie.com, sent over this fantastic piece on a recent MOTU-based art show! What a cool show! Take it away John! 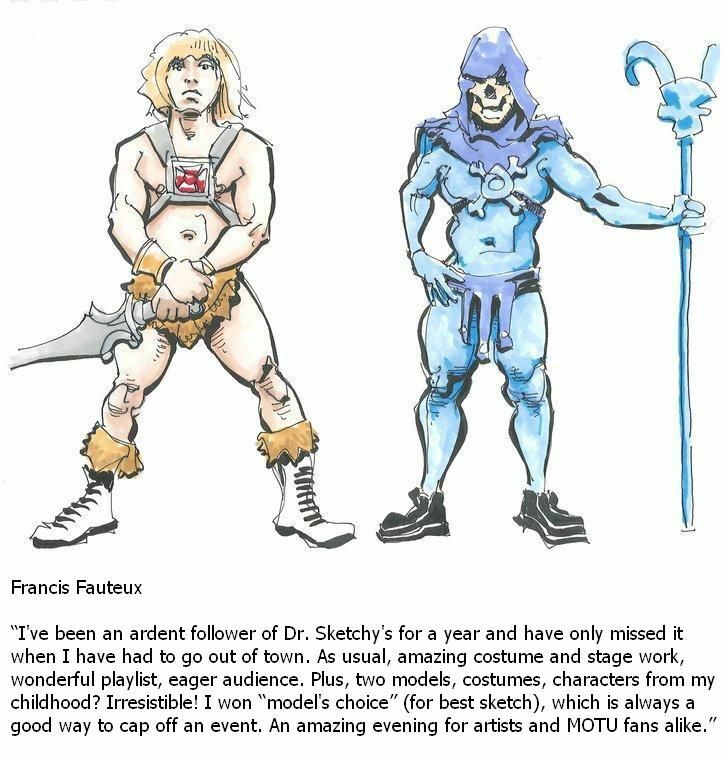 On May 31st, I had the privilege of attending the “He-Man vs Skeletor!” drawing night at Dr. Sketchy’s Anti-Art School in Toronto. The event took place in the backroom of Toronto’s legendary art bar, the Cameron House. 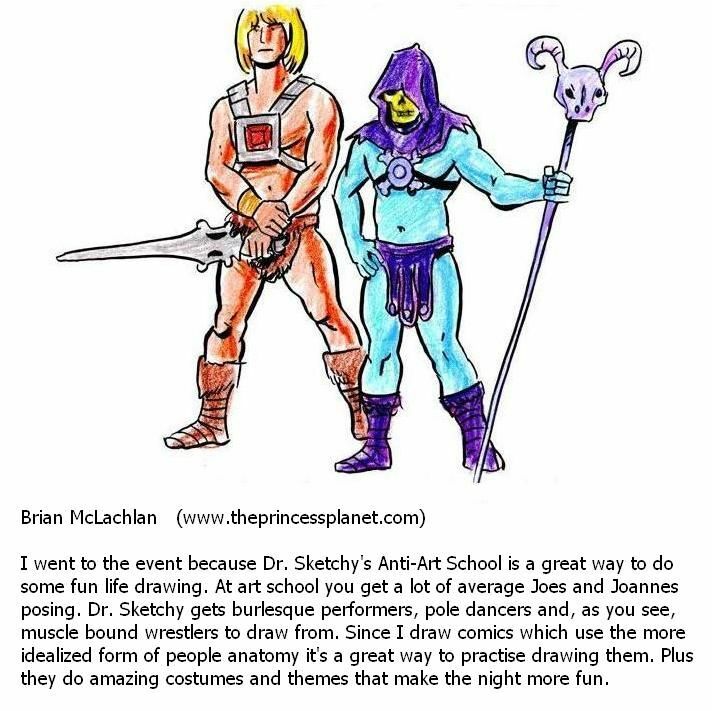 The session provided an exciting night of life drawing, with two male models (both professional wrestlers) dressed up as He-Man and Skeletor. At this life drawing session, the sketching was accompanied by alcoholic beverages, as funky music (re-mixed with voices from the He-Man cartoons and movie) played in the background. 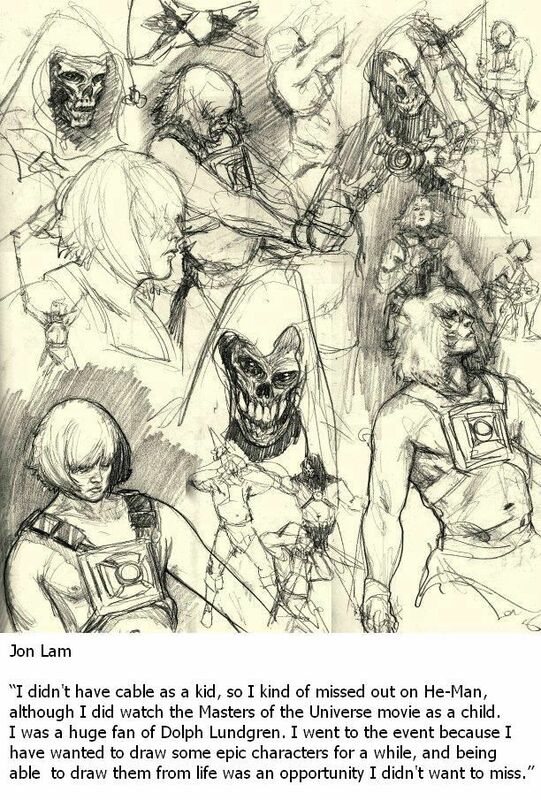 With a pencil in one hand, and a pint of beer in the other, I bravely attempted to sketch out the “Masters of the Universe” as they modeled in a variety of action poses. Dr. Sketchy's often uses female burlesque performers for their art sessions. 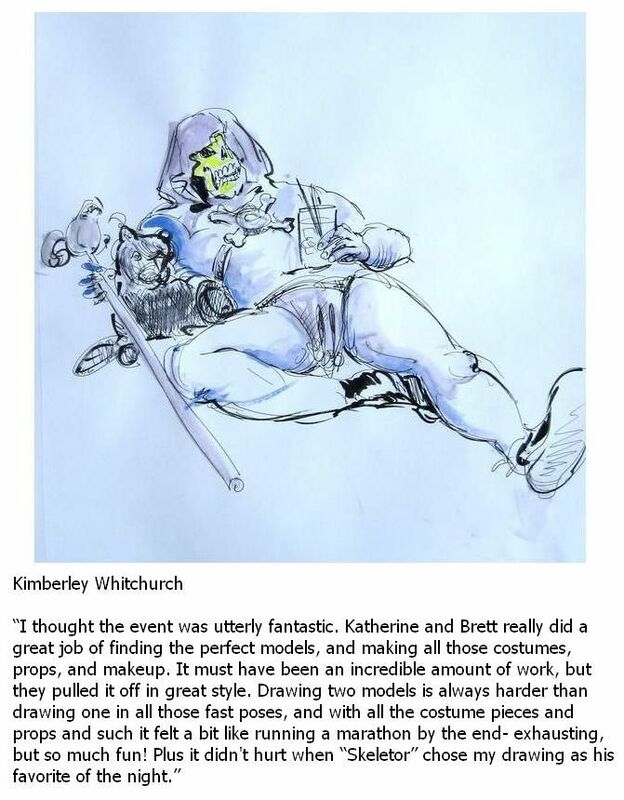 Their website states that they rarely use male models, as they “don't draw the same crowd as girls do.” That may be often true, but it definitely was not the case this night, as the venue was packed with artists sketching out their childhood heroes. The models, both dressed in the classic costumes, really brought the characters to life in fun and exciting ways. 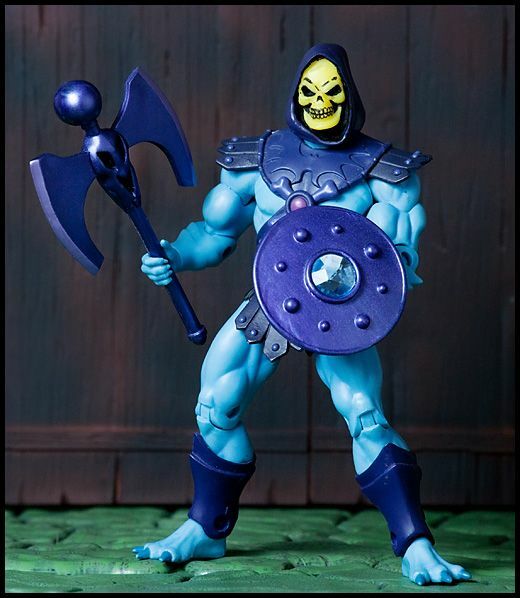 Even behind a skull mask, the model posing as Skeletor exuded personality. “It was pretty awesome and surreal,” said Toronto-based illustrator Jonathan Lam. “It's great to see models that are into their characters. It pumps the drawing up that much more.” Anti-Art School in Toronto. 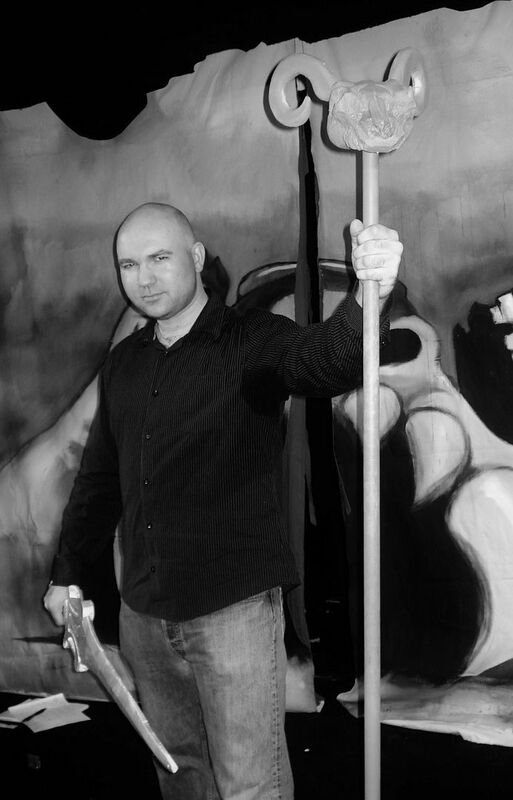 The night was organized by local artists Brett Despotovich, Katherine Piro, and Brynne Kennedy. 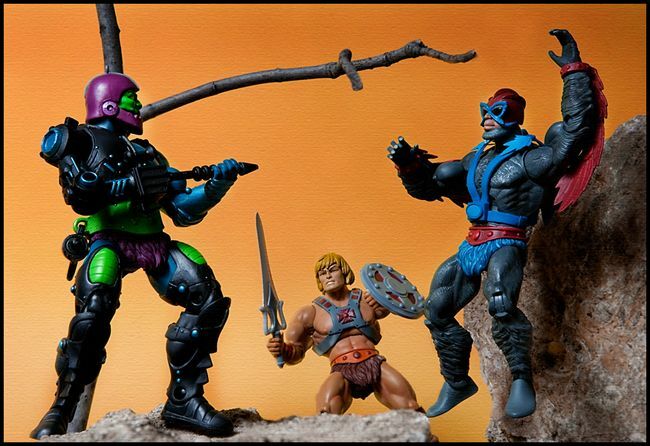 Known for crafting amazing geek-out drawing nights, they went hard to work at recreating the strange world of Eternia. Katherine designed all of the wonderful costumes and props used for the show. 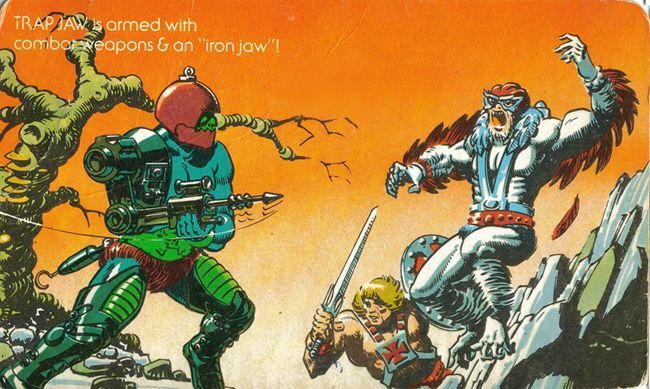 Behind the models was a large painting of the 80's cartoon version of Castle Grayskull. 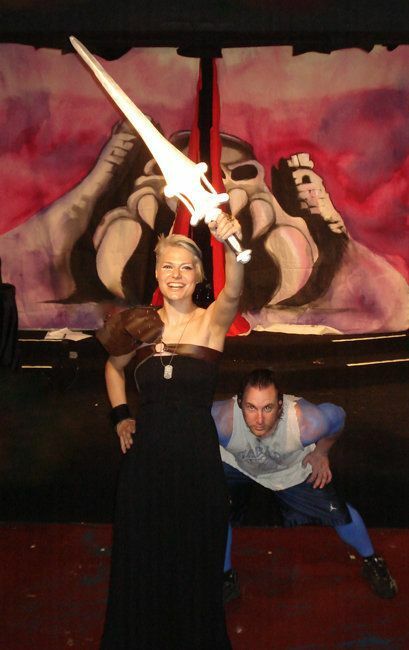 “I think it was our most epic night!” said Brett, who also served as the “Heroic Master of Ceremonies” for the event. During the session, the audience was given different drawing challenges where they had to incorporate the chosen theme into their drawings. 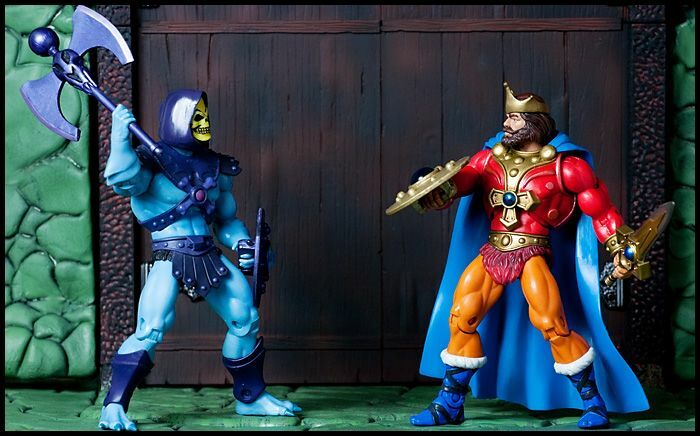 One of these challenges was incorporating a 90s cartoon character in a picture with He-Man and Skeletor, which lead to a lot of 90s cartoon characters being slaughtered by He-Man and Skeletor (take that, Captain Planet!). 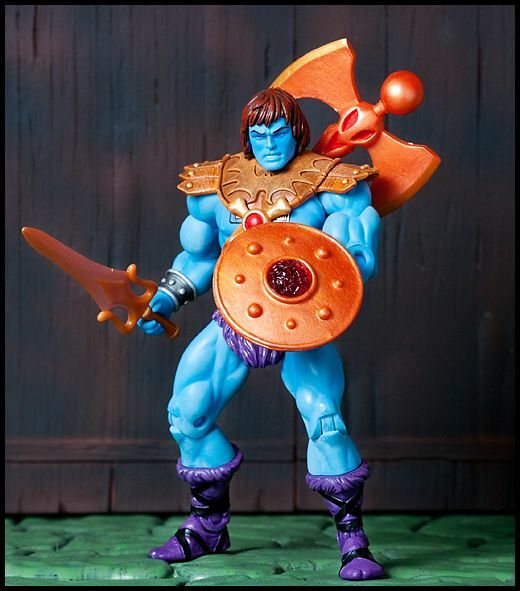 The winners, chosen by the audience’s applause level, received cool He-Man prizes from NECA, courtesy of Silver Snail Comics. 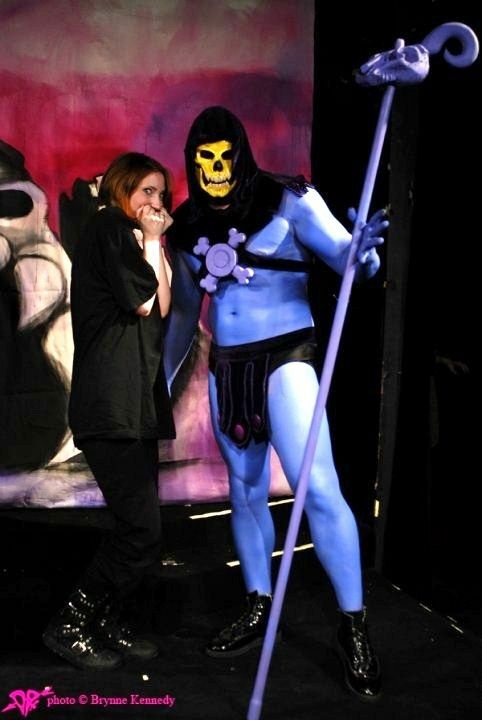 At the end of the night, everyone was running up to the stage to have their pictures taken with He-Man and Skeletor (myself included!). Dr. Sketchy's was originally founded in New York by illustrator Molly Crabapple. There are now over 100 branches around the world. The Toronto branch of Dr. Sketchy’s runs twice per month in the backroom of the Cameron House (408 Queen Street West), from 7pm to 10pm. Admission is $12. The event is for those 19 and older. Whether you are a professional artist, or just an amateur like me looking for a fun night out, this is one art show you should definitely check out! 1. 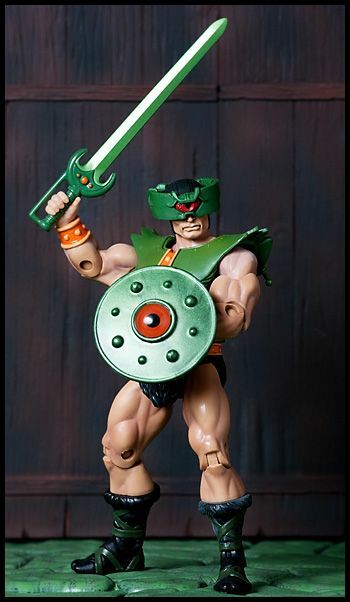 What made you decide to do a MOTU themed event? We started doing themed drawing nights at Dr Sketchy's in October 2007 with our Twin Peaks night, after we'd been going for 15 sessions. It was Hallowe'en and we wanted to do something big to get some more attention, and tie in dressing up a bit. It was a huge success, even if most of the audience had never seen the show! Since then we tried to keep staging a themed night every few months. 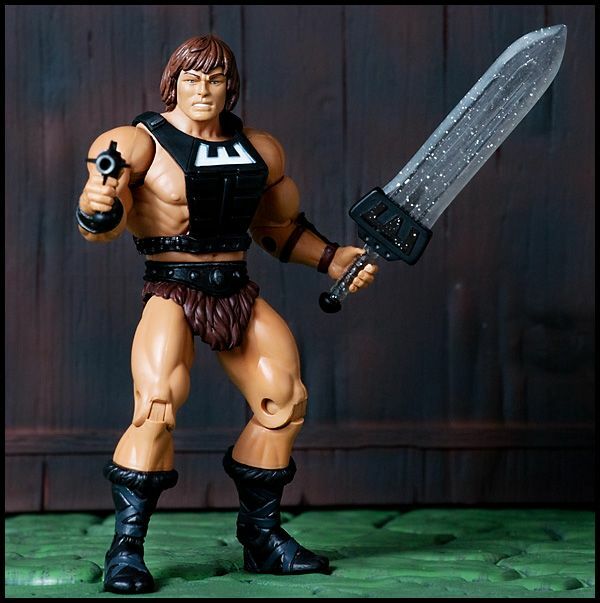 Since all of the themes have come from personal interests among Brynne, Katherine and I, we wanted something iconic, so He-Man was a natural choice. I don't know how long the session was cooking for before we finally got to put it on, but it was an early idea. 2. 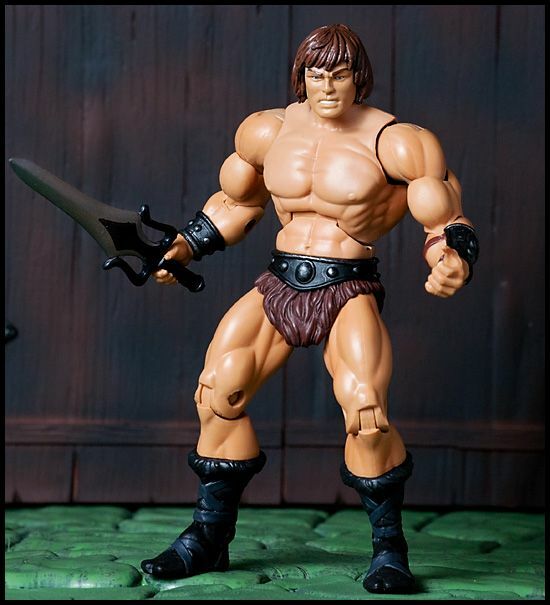 How hard was it finding models with the right physiques for the show? Finding the models for this was a task Katherine took on. 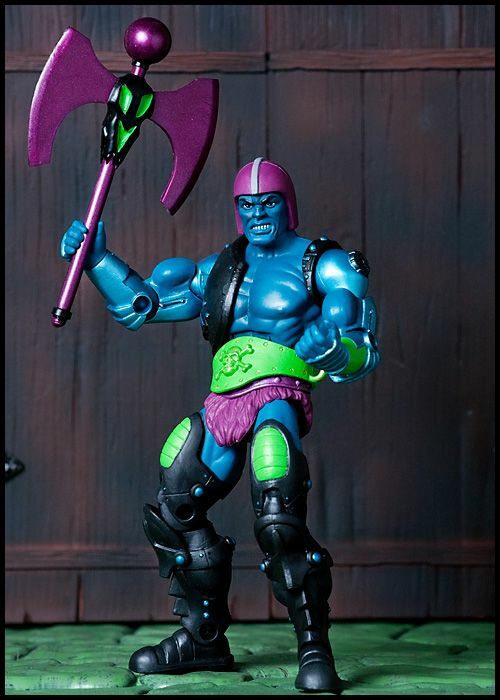 A friend of ours from college has a brother who is a wrestler, and wrestlers have the perfect MOTU Action Figure build! 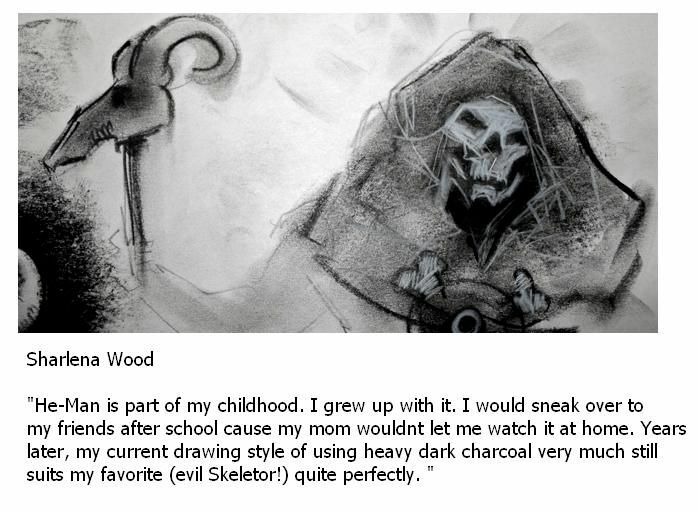 Katherine approached Kris (He-Man) over a year ago, as well as his friend Mike (Skeletor). The dialogue was back and forth for a long time; working with their schedules and our modest start-up budget. Finally Katherine just decided it was do-or-die! Kris and Mike were available for the date, so we booked them! 3. How do you think the night went overall? The night was a huge success! It's always been difficult bringing out a large crowd to draw male models, but this one was a full house! The feedback was amazing, the artists came up with some incredible work, and our awesome prizes were very generously donated by the Silver Snail! Although we had to start the night a bit late we still got 3 hours of drawing time in. 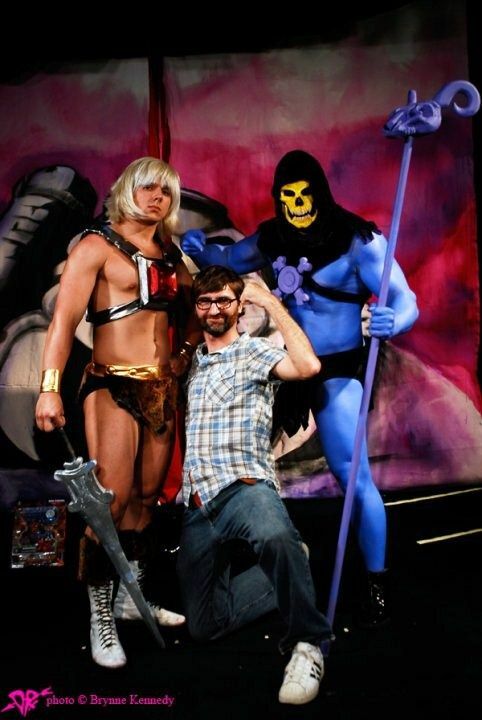 During the breaks we encouraged the sketchers to jump up on stage and have their photo taken with the two models in front of the Castle Grayskull backdrop, which went over really well. 4. 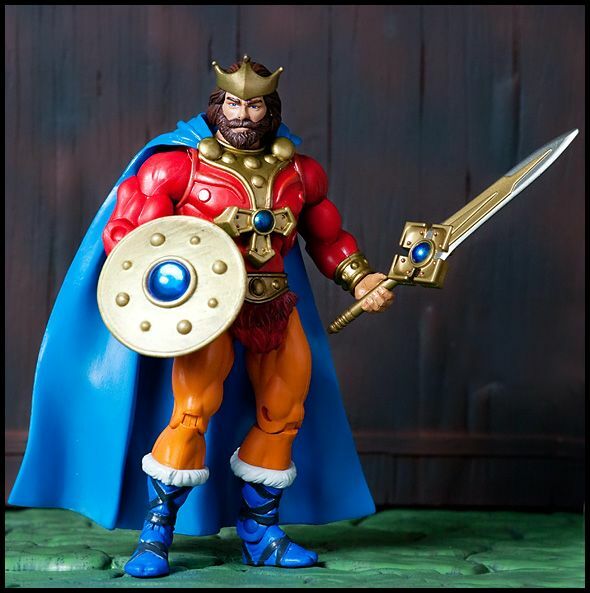 Would you ever do another “MOTU” night, or maybe a "She-Ra: Princess of Power" themed night in the future? We never want to re-stage nights, just to keep everything fresh. However, I do think this one would be worth putting together again with the addition of more characters. 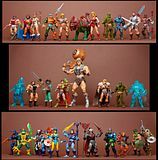 She-Ra would be amazing to add in! 5. What was it like making costumes and props for the show? I always have a love/hate mentality putting together theme nights the two weeks before a show. I am completely immersed in it and I have no patience for anything else. It's not until the night itself that I can step back and see what it looks like, and once I reach that point, I am so excited and happy that I won't come down for days! 6. Any challenges for you in the creative process? The main challenge with putting this particular night together was the budget. Usually theme nights run from about $400 to $500. My friends Patricia and Kat are both fashion designers, and they were able to give me fabrics, as well as their expert sewing skills. 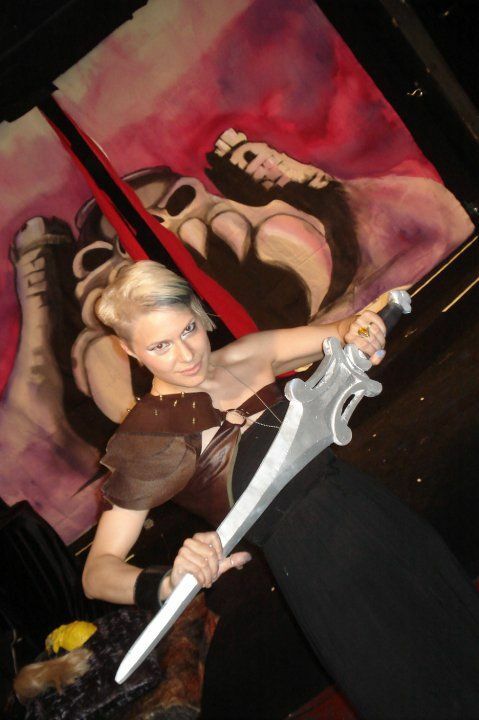 I used foam to carve the sword and the ram's skull, and plastic piping was used for the bulk of the staff. One challenge we had was that we didn't have the models available for costume fittings. We got their measurements, and I was able to meet up with Mike to take a quick cast of his face for the skull mask. The chest pieces for both models had to be sized and sewn directly on them at the event. 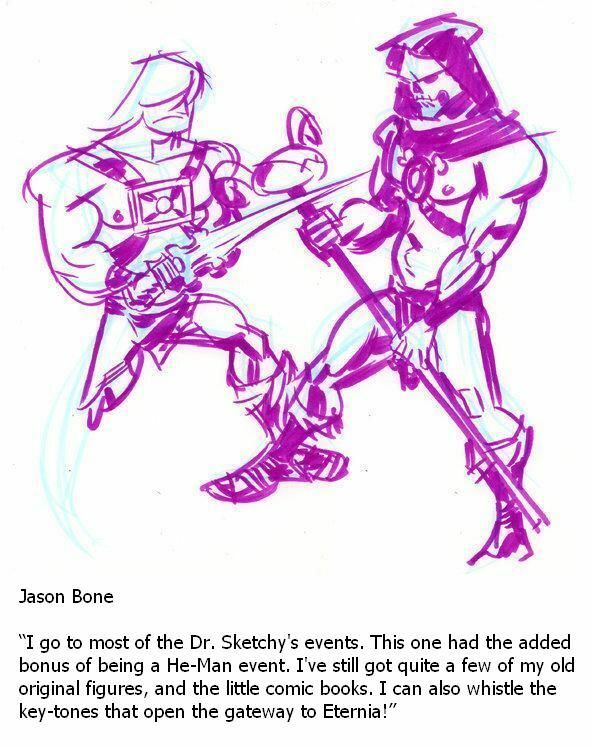 The last problem was painting Skeletor, as Mike wasn't able to get to the venue until 6:45pm. It usually takes at least an hour and a half for a full body paint job! Luckily, Patricia and Wendy showed up early to help. They were both painting like crazy in the terrible heat back stage, well I was cutting He-Man's hair and gluing Skeletor's face on. And now check out a selection of some of the MANY great sketches done at the show!